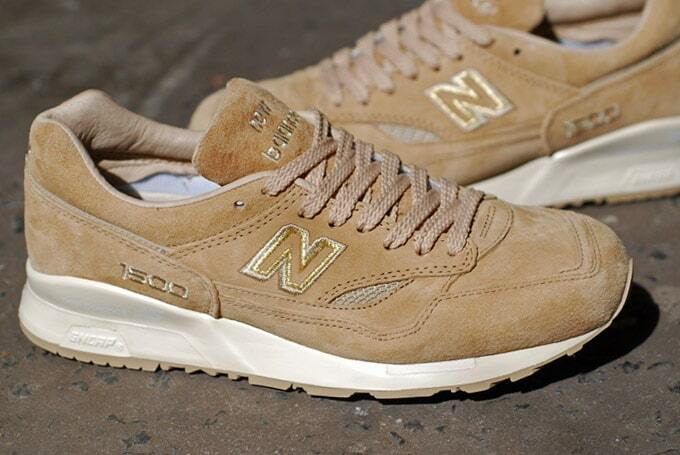 Home Trainers	The New Balance & United Arrows’ M1500 makes beige appealing. There’s a lot of New Balance collaborations out there, but the real draw to the brand is the past performance purity it carries. When we’ve done work with them, we’ve generally stuck to a formula that displays a certain conservatism. We just want to be able to throw on some 576s, 577s or 1500s with any outfit and tried to intelligently create some no-brainers, because we’re of the opinion that you should leave the silly stuff to the other brands. Some recent collaborations have left us a little cold, but they’re sprinting out the store as soon as they’re launched. These sandy New Balance United Arrows M1500UASP colourways are very beige — beige is normally a bad thing: the symbol of fence-sitting mediocrity and when it’s on a China-made M1500 (seriously NB, please, please, please remove the panel inside the toe that’s rounding off that shape), all signs point to terrible, but guess what? This is a nice shoe. What this version of the 1989 classic lacks in stealthy silhouette, it makes up for in the quality of the suede on the upper and the pigskin lining. It’s whisper quiet in its execution, but that neutrality is good with any outfit. Or are we just making excuses for basic makeups? The shelves seem to lack a good middleground between lurid rubbish and basic executions right now.